We tested eight top nutrition bars and energy gels for effectiveness, metabolic impact and taste. Walk into any grocery store or sports shop, and you’re likely to find an entire wall of energy foods in all shapes, colors and flavors, but how do you know which are the best nutrition bars and energy gels? What you eat matters. Just enough of the right nutrition can power you to personal bests, but too little or too much can cause you to crash and burn. To which nutrition bars and energy gels can help you maximize your exercise performance, SI chewed and slurped its way through a few thousand calories worth of each. We sought help for the task, from an ex-pro cyclist, an exercise physiologist, and a chef. They helped pick a selection bars and gels that were both nutritionally sound, metabolically useful and tasty. We debated ingredients and flavors, and took some snacks out on the road for workouts around the Bay Area. According to the exercise physiologist, Nicole Pinto, the most important energy source for performance—rather than weight loss—is glycogen, and the best foods to eat are simple sugars like fructose, glucose, and sucrose. These can be quickly digested and absorbed by your body. Incorporating a mix of these sugars also speeds up how quickly the energy is taken in. Fats and fiber, in contrast, are harder to digest and can cause gastrointestinal distress if eaten soon before or during exercise. Just before, during, and immediately after working out you should eat mostly carbohydrates to maintain and replenish glycogen stores. Adding some protein after exercise is good for recovery. Perhaps most important of all is to figure out what nutrition products work best for you. Apart from following general advice, that means guessing and testing, and listening to your body to see how it responds to both the type and quantity of different foods. “The hard part is finding something that you like enough to force down,” says the ex-pro cyclist, Phil Gaimon. In any case, bring along a range of treats. If you’re out exercising for a while, flavor fatigue can be a real problem. The following is a selection of our favorite exercise snacks, including our top pick, UnTapped, and other nutrition bars and energy gels from LÄRABAR, CLIF, GU Energy, Honey Stinger, Natti Bar, Picky Bars, and Science in Sport. The one downside? Because Slopeside is maple syrup, there’s only one flavor. That means you might want to have other snacks on hand so you can mix things up a little. However, the Slopeside Syrup is a perfect example of a natural, minimally processed food. The sugar in maple syrup is mostly sucrose, but it also includes small amounts of fructose and glucose created when the maple sap is boiled during processing. The combination of sugars should speed up energy absorption. As a bonus, maple syrup also includes a range of vitamins and minerals, and trace amino acids. There are many variations on the fruit and nut energy bar, but LÄRABAR’s 220-calorie approach might be the most simple. Depending on the flavor, the bars are made with dates and between one and eight other ingredients only. None of them contain preservatives, and so they should appeal to those looking for natural food. The original LÄRABARs come in almost two-dozen flavors, including options like banana bread and cherry pie. The small bars—maybe five bites-worth—hold together well, making them easy to stuff into a pocket without breaking, and they’re not overly chewy. The dates contain a mixture of simple sugars, mostly fructose and glucose but also trace amounts of maltose and sucrose. That combination means that although the bars may digest slower than gels, the sugars will still absorb relatively quickly. However, in contrast to gels, they contain fat and fiber, which will slow digestion. The outer layer of this bar is made from roughly the same ingredients as CLIF’s better known, and larger, bars: oats, rice syrup and cane syrup. The inside, though, contains almond-, hazelnut- or peanut butter. The nut-butter bars are smaller and denser than regular CLIF bars, and not quite as sweet. The bars come in seven different options, including chocolate hazelnut butter (chocolate-flavored outside, hazelnut filling) and blueberry almond butter, a twist on a PB&J (blueberry outside, almond inside). The texture is solid, and the nut butter quantity is just about right—you’re never stuck trying to clear too much oily stuff from the roof of your mouth, which would certainly happen if you took a big spoonful of peanut butter. The nut butter filling in these bars means they have the highest fat content of any of the other products listed here, and so they are likely to be the slowest to digest. In fact they are intended to be a low glycemic index food, and thus to provide a slower release of energy. One of GU’s biggest selling points is the range of flavors available. Original GU comes in more than a dozen varieties from relatively conventional choices like lemon sublime to more novel options like campfire s’mores. GU Roctane, which has extra amino acids and electrolytes, offers almost a dozen more flavors. Adding some variety to the taste of your energy snacks can add a much-needed mental boost during long workouts. Because GU incorporates both fructose and maltodextrin (a complex carbohydrate which works more like a simple sugar), it will be more quickly absorbed than if it had only one of those ingredients. The added amino acids and electrolytes in the Roctane version can be bitter, so don’t expect this to taste like candy. Each packet contains 10 gummies made from honey, other organic sugars and fruit juice that pack 16-calories each. Unlike gels, which need to be eaten in one shot to avoid spilling, the gummies can be eaten one-by-one, allowing you to spread out the energy boost and reduce digestive stress. The texture is also pretty good, with just enough consistency for the gummies to stay together without being so chewy that you burn extra calories gnawing at them. Honey Stinger’s main product is actually a thin, honey filled waffle, and other brands—UnTapped and GU, for example—make similar waffles. However, those can get crushed in a pocket or bag, and are a little harder to eat one-handed when you’re running or riding a bike. Because these chews contain both fructose and glucose (from the honey), mixed with sucrose and tapioca syrup, they provide a quick, easy to absorb energy source. The chews come in nine different fruit-themed flavors, and the honey taste is very slight. Some gels or chews can have an unnatural, chemical taste, these taste more like candy. Natti Bar might have solved one of the biggest problems in sports nutrition: Everyone knows bananas are good for you, but they’re also almost impossible to take with you when you work out. They bruise at the slightest bump, turn to mush if you stuff them in a bag, and quickly blacken in the sun. Natti Bars are made from dehydrated bananas. Each 110-calorie bar is the equivalent of one banana, and has the same nutritional value as a banana, minus the water. (Natti Bar also makes two other flavors, one that mixes in dark chocolate chips and one that includes cocoa nibs.) They taste a little like a chewy banana cake made with thick molasses. The one drawback is that if you don’t like ripe bananas, you might not like these. Roughly half of the calories in bananas come from equal amounts of glucose and fructose, and will be quickly absorbed. The rest is a mixture of more complex carbohydrates and fiber, which will digest more slowly. These bars are the brainchild of three athletes, runners Lauren Fleshman and Steph Bruce, and triathlete Jesse Thomas. They pack in more ingredients than LÄRABARs, but they are aiming for a similar niche: they are gluten, dairy, and soy free, and free of artificial ingredients and GMOs. Picky Bars are made from agave, dates, brown rice protein and other ingredients and spices, and come in nine different flavors with amusing names like “ah, fudge nuts!” and “chai and catch me.” The small bars are pretty robust and easy to throw in a pocket or bag. The guiding nutritional idea behind Picky Bars is a 4:1 ratio between carbohydrates and protein. The mixture of ingredients means they contain a range of sugars, some of which will absorb more quickly, but the protein and fat in them makes them better suited for post-workout recovery than during high intensity activity. This is a much more watery product than most energy gels, and it comes in 90-calorie packets that are about twice the size of a GU packet. Because it contains more water, you don’t need to consume additional fluids at the same time to aid digestion—although you should always ensure you hydrate during exercise—and reduce gastrointestinal distress. 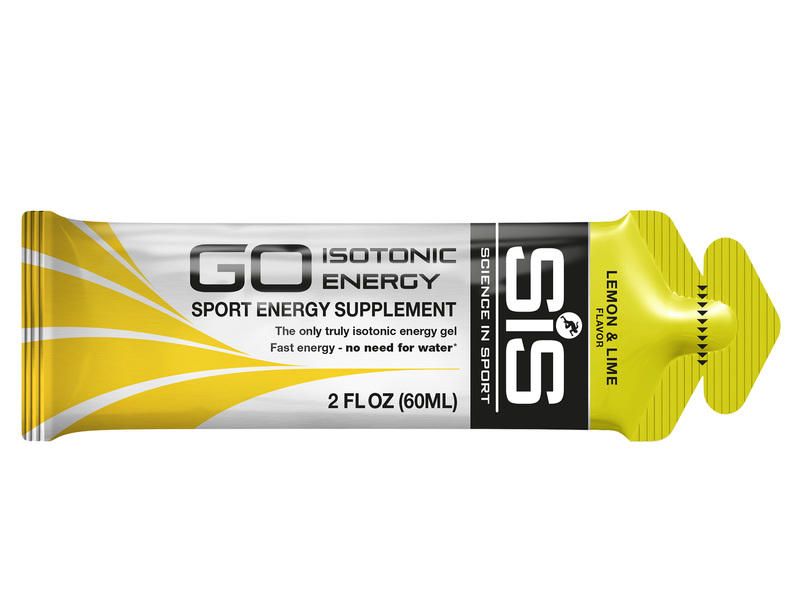 Science in Sport gel comes in six different fruit flavors, two of which have caffeine added. The texture is like unset Jello and the taste is a little unnatural. However, these are less sugary some other options and easier to consume without having to knead the packet like a toothpaste tube. The only carbohydrate in this gel is maltodextrin. While that isn’t a simple sugar, it is still absorbed relatively quickly by the body. Because this gel only incorporates one type of carbohydrate, however, the overall absorption will be slower, and the resultant energy boost won’t be quite as quick. We studied ingredients on the back of each package and talked for hours about nutrition strategies—and cookies—to determine which snacks might work best during exercise. We also ripped open packages and tasted and chewed our way through far too many high calorie snacks, weighing flavor and texture alongside simple nutritional value. And, of course, we worked out, in part to get a feeling for the effect each treat had on our exercise ability, and in part to burn off at least some of those extra calories.